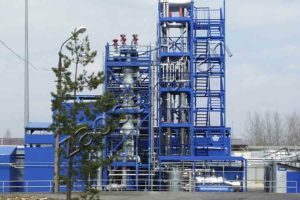 The commissioning of the separation unit for alkylation of isobutane products with olefins began at the production site of Electrogorsk Oil Refinery Institute PJSC (Moscow Region). 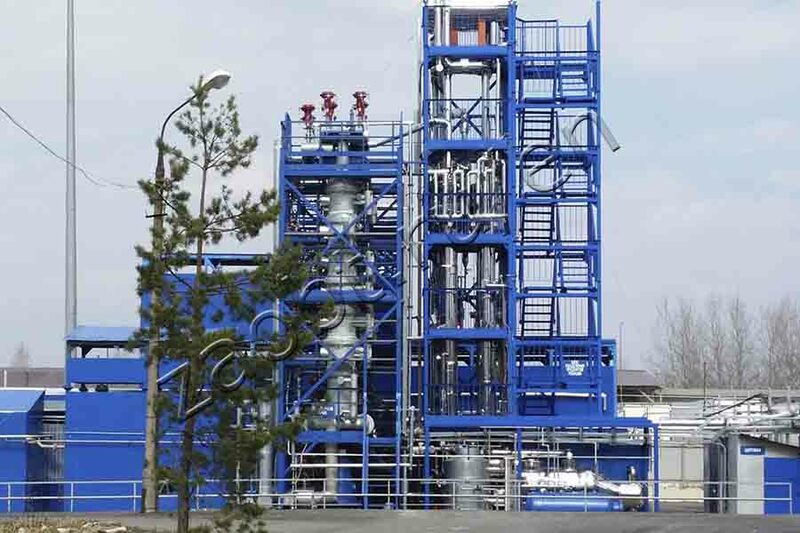 The separation unit follows the reactor unit in the production line of the high-octane gasoline production line, is intended to separate the hydrocarbon reaction mixture to isobutane (recycle solution), n-butane, and alkylates. The separation unit is a stand-alone complex in a metal frame and consists of three transportable modules, corresponding in terms of the dimensions to standard marine containers, which simplifies handling and installation. The separation unit includes: a concentrator with a dephlegmator and an integrated evaporator (column KR-1), a rectifying column (KR-2) with a dephlegmator, a remote evaporator, pumps, intermediate tanks, electric steam generators, a piping system with shut-off valves. The technological complex is equipped with the automated process control system. The main elements of the complex are two columns with a diameter of 400 mm equipped with a CHEVRON type packing. The efficiency of each column is 30 theoretical plates. The use of a high-intensity CHEVRON packing made it possible to achieve the required efficiency at a plant height limitation (12 m). Checking on real mediums during commissioning confirmed high efficiency of separation columns with a CHEVRON type packing. The products returned to the synthesis (recycle solutions) from columns KR-1 and KR-2 comply with the set parameters. The separation results in a commercial product – high-octane alkylate corresponding to the required quality. Recall, all the equipment of the separation unit for alkylation products was designed and manufactured by the specialists of ST IG. This also applies to high-intensity screen packing for mass-transfer equipment. Own production site for manufacturing such devices allows effectively adapting to the customers’ requirements. The plant is scheduled to achieve its designed capacity soon.